alex cabunoc and ji a you based in los angeles have developed ‘giradora’, a human-powered washer and spin dryer which has been designed to increase the efficiency and experience of washing clothes in areas which do not have access to running water. the project evolved while the two were students at the art center college of design where they were challenged by a south american NGO to create a product as part of their ‘safe agua peru’ – a project that alleviates water poverty in the slums of lima, peru. travelling to the neglected area of cerro verde, peru, cabunoc and you conducted first-hand field research, and realized the livelihoods of families depended on clean clothes – whether for work or children’s school uniforms, clothes needed to be presentable – but with no running water or drainage, and difficult conditions to trek to retrieve water, what might seem like the simple task of hand-washing clothes, is in fact quite challenging. based on additional research, they found washing clothes on average takes up to six hours per day, 3-5 times a week and can poses health risks including tenosynovitis from the constant wringing of clothes; chronic lower back pain from squatting; hand pain from cold water; asthma as mold clothes can take up to three weeks to dry in the winter. the ‘giradora’ seeks to make the process of cleaning more ergonomic, economic, and ecological in the long run. targeted towards families earning between 4-10 USD per day, the resulting unit costs less than 40 USD. the design is composed of a drum whose shape is similar to that of a water barrel. within the basin there is the main washing tub which is then covered by a cushioned lid. the user is meant to sit atop the appliance and pump the pedal at the base of the cylinder with her foot – a more ergonomic position in which they are no longer constantly leaning over a wash basin. this action agitates the water, cleaning and rinsing the garments inside. when water is released the same action spin dries. cabunoc and you have conceived ‘giradora’ so that it is comfortable and economic, while doubling productivity and increasing health. by being foot-powered, the user’s hands are removed from being in contact with cold water, the use of water is reduced as things are rinsed more efficiently, and the risk of tenosynovitis from wringing clothes is eliminated as one’s hands are no longer doing all of the work. ‘giradora’ has won an international design excellence award and has been nominated in fastcompany’s 2012 innovation by design awards. felicitaciones mil, al equipo por este proyecto y mas por la motivación, gracias por hacer de el diseño una herramienta de cambio en mi país, que mejora la calidad de vida de personas que lo necesitan! Its a fine idea but at least in USA there has been a very nice hand-operated model on the market since at least 1980 so this didnt need to be created. It would be easier and faster just to contact that company and become a dealer for it and send them all over the place for use in your region. Charles, care to provide the name of the USA company you refer to here, along with maybe a URL? Thanks so much! Wow, I love what you have dreated here! I have been looking for just such an aapliance for sooooo long, all the ones I could find were just washers, but because they didn’t also spin they were not much better than a plain old lidded bucket. I would be so keen to have one of your giradora washer/dryers myself. Probably early days yet, but would you consider making them available more widely? I was thinking that if I could have the opportunity to buy one, I would also like to buy one for someone in one of the countries you hope to reach who maybe couldn’t otherwise have one. What do you think? What a wonderful idea. Are the Giradora washers going to be available for sale in the US? I would love to purchase one and have several friends who are interested in owning one also. Love to get a GiraDora. Please let me know when it becomes available. Live in an apartment that does not allow washers and do not have a vehicle. This would be perfect for me. its a great idea and good washer. Are these available for purchase for here or to sponsor for over there? I would like to purchase one. Whom do I contact? Where / how can I purchase? For goodness sake!!!! Can’t we get an answer on where to buy one??? Or is this just a concept? No, it’s not a real product. Did you not notice how superimposed their pictures are? WHERE can these be purchased HERE in the USA ????? I would like to buy GiraDora washer. I would like two please. Can you please tell me how i could get a GiraDora washer please. I would like to buy one for my use and also contribute to your project. No info about these options is on your site, but the interest is clearly there. When your group has a moment, could you respond please? 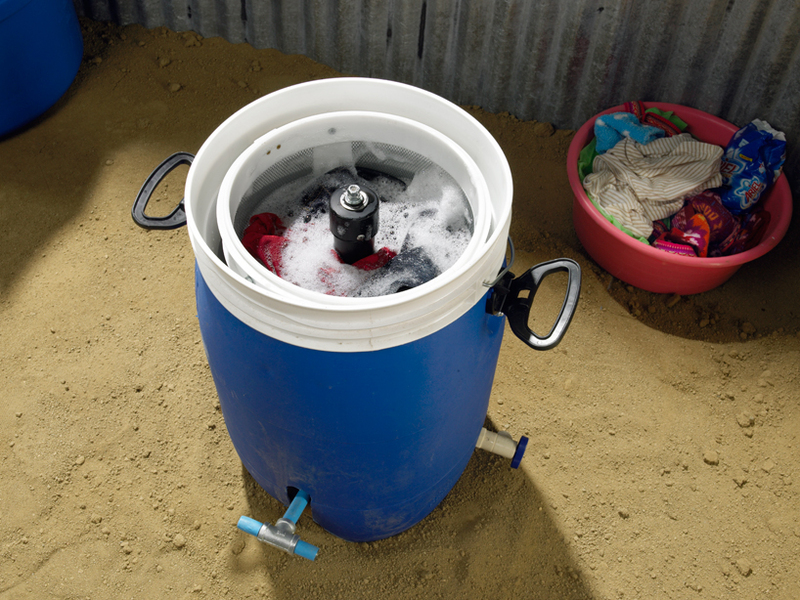 Just frogging GOOGLE hand powered wash machine….duh! For those too damnably last to use the web……look up wonder washer. Get off your dead assets and figure it out!